Today is a lovely sunny day and the temperature outside is about 13.5 degrees, the sun feels lovely and warm on your face. 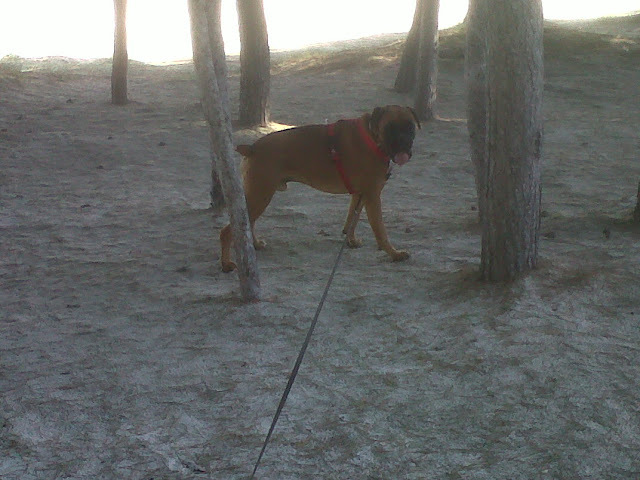 We decided that we would go for a walk on the beach, and take Ruffa (our boxer), to see if we can find pine cones and bits of wood. 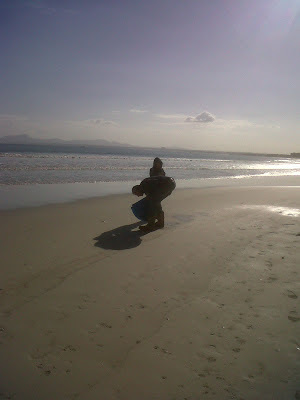 The beach was fantastic, no chilly wind, warm sunshine (although still only about 13 degrees as mentioned before). There were loads of empty shells to pick up but no drift wood today. I think we need a big storm so we can go collecting again. We decided to walk back under the pine trees (along the beach) to collect some cones and twigs, we gathered a bag full but most of the cones are still on the trees, another week perhaps?!! Ruffa had a lovely walk and was quite well behaved for a change. I am trying to get him used to water but he is scared of the sea and its little waves, when I manage to get him to stand at the waters edge he freezes and won't move! So I didn't push it today. I wish you could have dogs on the beach in the summer (or a specific beach for dogs only would be better) then he could learn to like it more and have a bit of fun. This week coming is the time we are going to get rid of Spock!! so I can prepare him for Christmas. It will be a difficult week for us all I think. 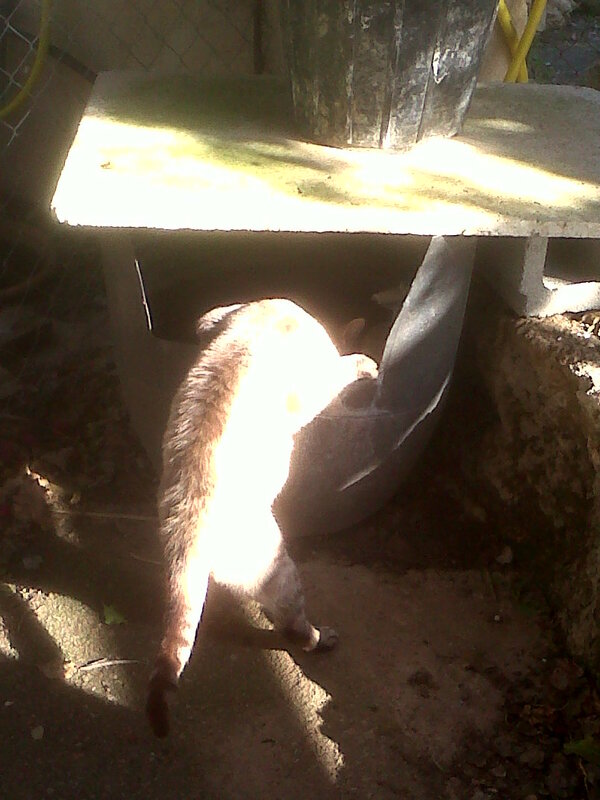 On our return to the house our old cat (old abuela) was taking a drink out of the dogs water trough!